How much time do you spend training your mind to play better? Why are you a champ on the range and a chump on the course? Did you lose the club championship because of nerves? Would you like to be calm, confident and focused like the pros? Do you get uptight on the first tee? Are you tired of choking on three foot putts? Are you of losing to players who you should beat? Do your palms get sweaty when you’re 50 yards from the green? Does your game fall apart when you see sand traps or water hazards? Do your mechanics break down when the pressure is on? Are you annoyed because you lose money to your friends every week? Did you have another bad weekend on the course? Would you like play to your potential and golf in the zone? Did you have another frustrating weekend with too many bogeys? Would you like to get coaching from one of Golf Digest’s Top Mental Gurus? And now there is a simple program to help you play better, perform better and feel better out there. This program will teach you how to be calm, confident and focused on the course. When you learn these skills, you will take strokes off your score. This program was developed by Jay P. Granat, Ph.D. Golf Digest name Dr. Granat of America’s Top Ten Mental Gurus. He has helped thousands of golfers including members of the PGA, Division I collegiate Golfers, Highly Ranked Amateurs, club champions, children and weekend warriors. A golfer who wanted to make it on the senior tour came to see me on a Friday. I taught him some of the techniques on this program. On Sunday, he shot a 64 to tie a course record and secure first place. A golfer with a fourteen handicap used to get very nervous on the first tee. Tellling him to relax and calm down did not help. He was very worried about looking bad to people who were watching him. I helped him to ease his mind into a comfortable place. Once he did this, he was able to tune out distractions and crush the ball with confidence. A fine golfer with a great swing could never get his handicap into single digits. Once he mastered a few simple mental techniques, he grew his confidence, improve his focus and lowered his handicap. Another golfer complained that he was great on the range and great in practice rounds. In tournaments, he would always choke on easy putts. Once he learned a different putting ritual, he started to sink the putts he knew he could make when he competed in matches. How To Lower Your Golf Score With Sport Psychology And Self-Hypnosis will show you many of the same techniques that pros use to play their best whent he pressure is on. Here is what is included in this two CD program…..
How do you use this CD program? It’s really simple. Listen to one chapter a day and then use the techniques you like the most before you play and during play. Lots of players download the program to their ipod or their MP3 Player. Listen to your favorite chapters before you step on the first tee, after the front nine, the night before a tournament or prior to loosening up on the range. You will also get several free bonuses to help you feel better, play better, lower your score and perform to you potential. 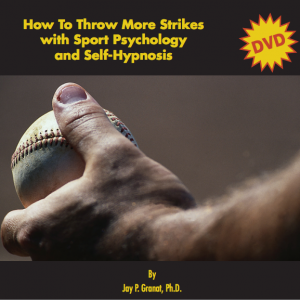 When You Order How To Lower Your Golf Score With Sport Psychology And Self-Hypnosis Buy Now And You Will Get Free Reprints Of Dr. Granat’s Most Popular Golf Articles. 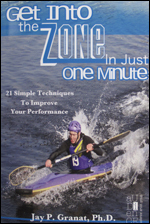 When you order the two volume golf cd program today you also get a free copy of Get Into The Zone In Just One Minute: 21 Simple Ways To Improve Your Performance. This 120-page book will show you how to be calm, focused and confident when you stand over the golf ball. 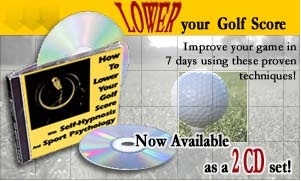 It’s yours free when you get Dr. Granat’s 2 volume golf CD program and Dr. Granat’s 39 golf tips. 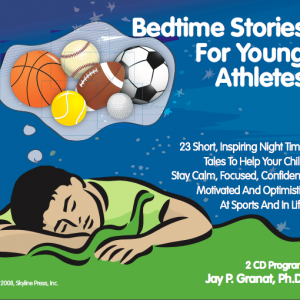 This book is used by top athletes from every sport from around the world. It will show you 21 techniques to get into the zone on and off the golf course. Dr. Granat welcomes your questions about this program, his counseling services, his seminars and his other products, books and cd’s. Jay P. Granat, Ph.D is a Psychotherapist with more than twenty four years of experience. Dr. Granat is the founder of www.StayInTheZone.com and he has counseled and coached top athletes from virtually every sport. Good Morning America, The New York Times, The International Herald Tribune, The British Broadcasting Company, The Canadian Broadcasting Company, Tennis Magazine, ESPN Magazine, ESPN Radio, The Bergen Record and The Star Ledger have all done features on him. He was named one of the country’s top ten mental gurus by Golf Digest. 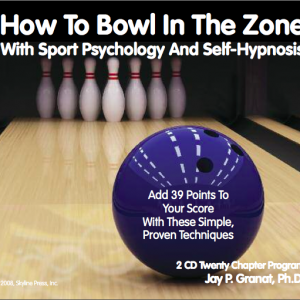 He is the author of How To Get In The Zone And Stay In The Zone with Sport Psychology And Self-Hypnosis and How To Lower Your Golf Score With Sport Psychology And Self Hypnosis. A former university professor, Dr. Granat was recently featured in a documentary film on long distance running. 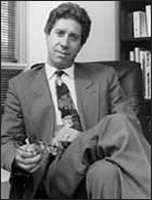 He is the Past Vice President of The New York Society For Ericksonian Psychotherapy and Hypnosis and he writes a weekly self-help column for three newspapers in New Jersey. Dr. Granat specializes in teaching athletes how to get in the zone and stay there. A frequent lecturer on sports, sport psychology, coaching, and performance enhancement issues, Dr. Granat welcomes your questions and comments. He can always be reached at info@stayinthezone.com or at 888-580-ZONE.